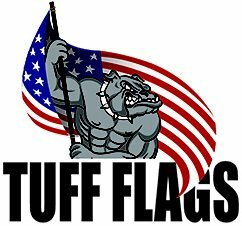 Make your events attractive and unique with these event décor items from Tuff Flags. Be it lapel pins, pennant strings, fans and drapes, portable signs or more, we have everything to deck up your event spaces and to impart a professional look. 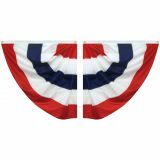 While pennants add specks of color and festive charm to the venue grabbing easy attention, fans and drapes can be used to display the national colors in a classic way in homes and businesses. Portable signs will drive the crowd to the tradeshow booths and business events while table covers and skirtings make an aesthetic and crisp way to dress up the tradeshow tables and make extra storage space. 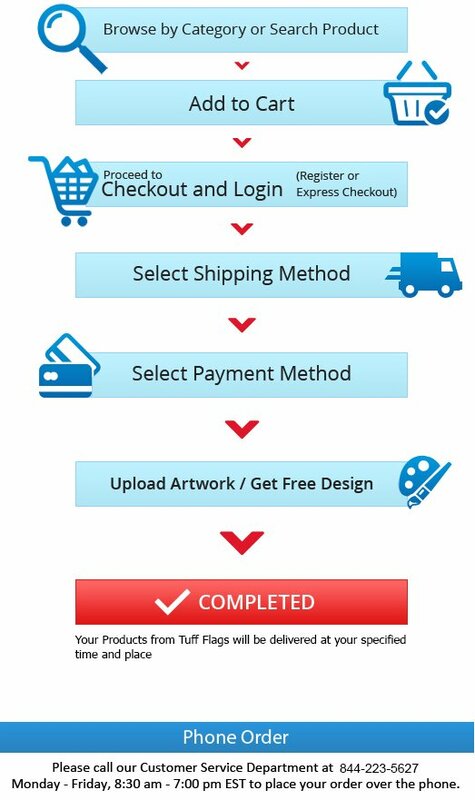 Shop from our complete line of Event décor right away and avail the best prices, quick shipping and much more! 100% customer satisfaction guaranteed! 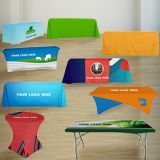 Make your event spaces and tradeshow booths stand out with our full range of event décor items including bunting and pulldowns, fans and drapes, pennants, portable signs, lapel pins and more. 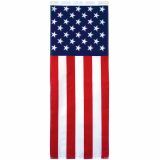 Show your patriotic pride with the pulldowns and fans from Tuff flags or get your message reach the audience loud and clear with our portable signs. 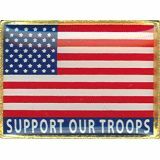 Pennants make head turning decorations to make your events festive while the lapel pins make subtle reminders of social causes and events and make great hand outs during national events like Memorial day or Independence Day. Our event décor items will not just decorate the event spaces but will enhance its character and personality. During crowded events like tradeshows, the only way to grab the attention of the massive crowd is to make your event space as unique and interesting as possible. 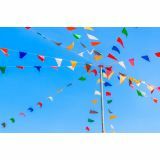 Cost effective and visually appealing, event décor items from Tuff Flags are well suited for all types of events including indoor and outdoor events.